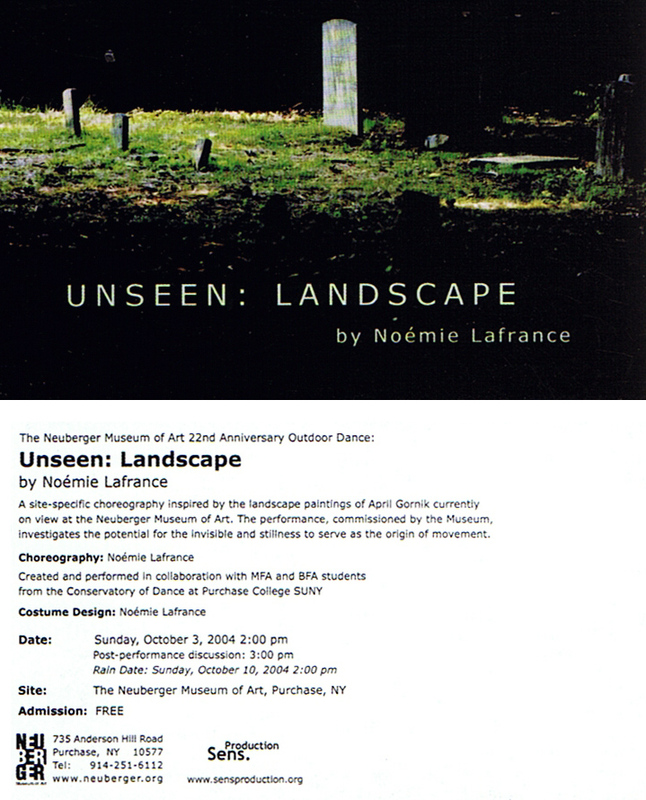 Unseen: Landscape was inspired by landscape paintings of April Gornick that where on view at the Neuberger Museum. 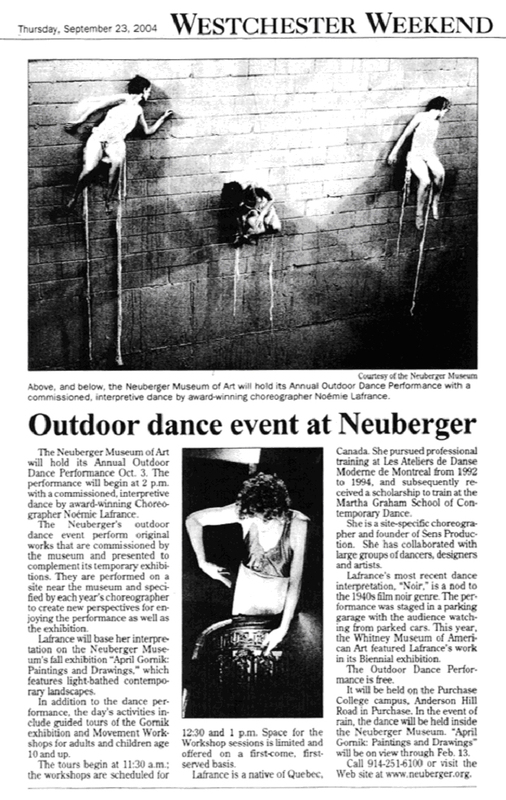 Performed outdoors in the surroundings of the museum the piece investigated the potential for the unseen, disappearance, and stillness to serve as the origin of movement. The work was created and performed in collaboration with MFA and BFA students from the SUNY Purchase dance department.